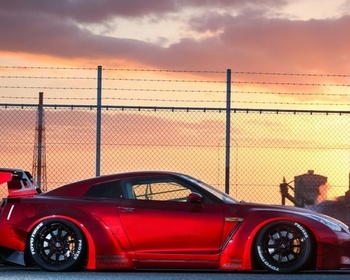 Liberty Walk was established as a used car dealer by Wataru Kato when he was 26 years old. The business was first operated in a small vehicle lot where Liberty Walk could only exhibit 3 cars. Currently, the shop expanded to a location where 20+ custom cars are available for display. The custom cars achieved popularity from many viewers so the shop name is highly recognized to represent Japan. Liberty Walk offers vehicle search and apply any custom modification requested by the customer. As of now, the company expanded its branch internationally and even exhibit international car show such as SEMA.